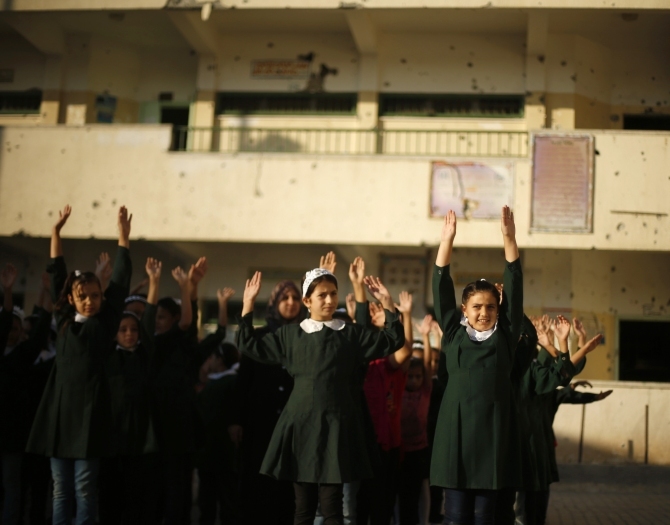 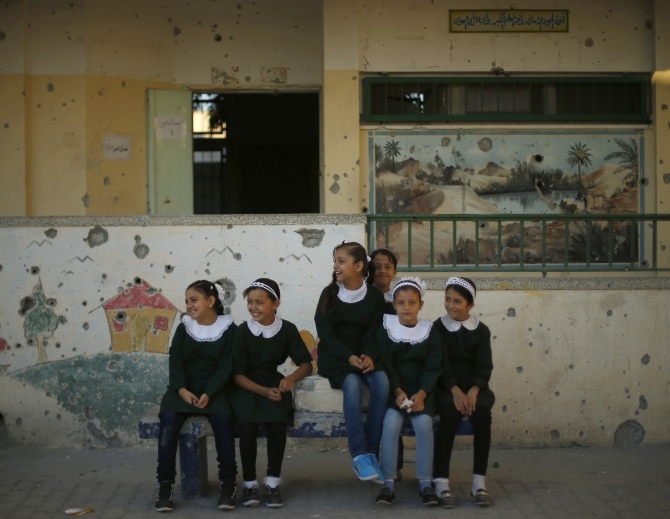 Almost 50,000 children in Gaza returned to school after the devastating 50-day war which has killed more than 2,000 Palestinians. 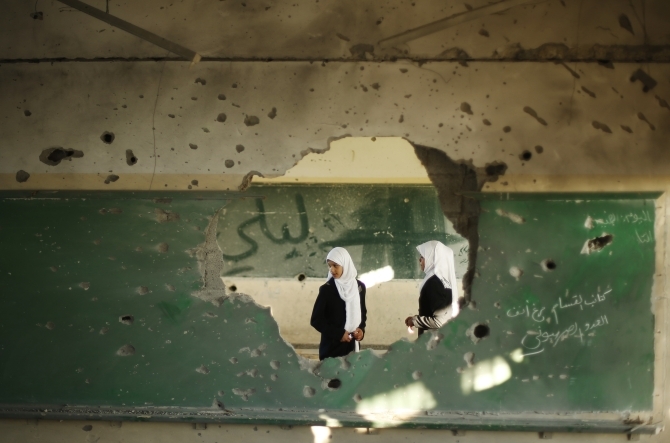 The war has destroyed more than 25 schools and has damaged a little over 200. 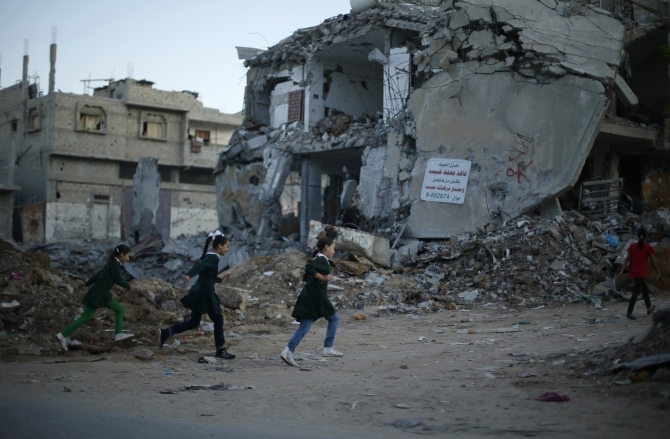 An open-ended ceasefire between Israel and Hamas-led Gaza militants, mediated by Egypt, took effect on August 26 after a seven-week conflict. 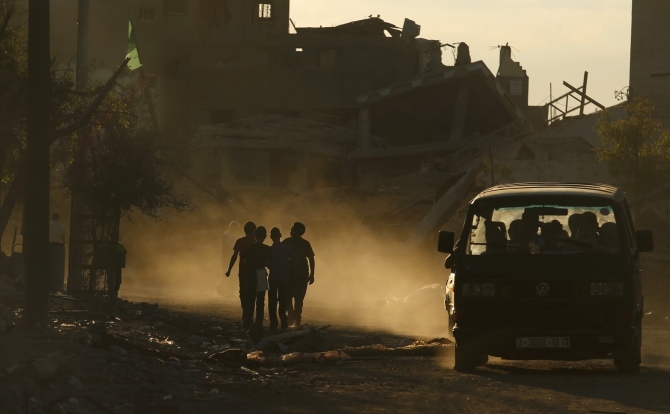 It called for an indefinite halt to hostilities, the immediate opening of Gaza's blockaded crossings with Israel and Egypt, and a widening of the territory's fishing zone in the Mediterranean.